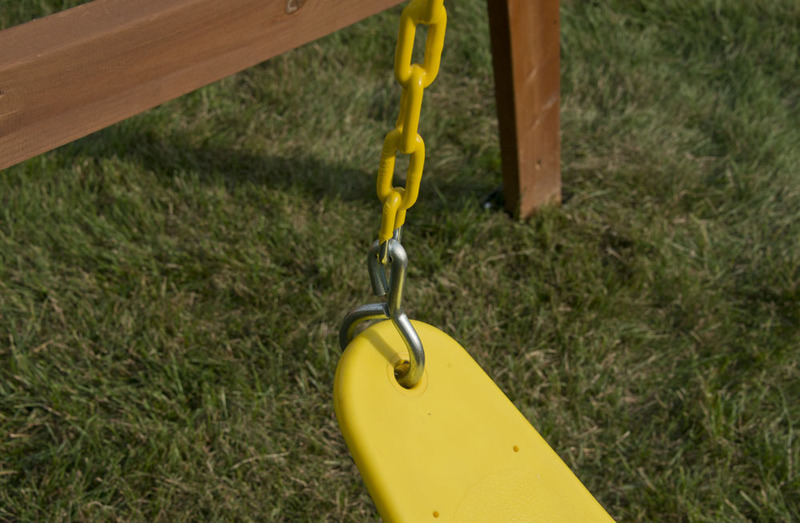 Yellow swing belt includes extra strong chain for your child's enjoyment and safety. Our swing belts encourage your children to get active and stay active in outdoor swinging fun! 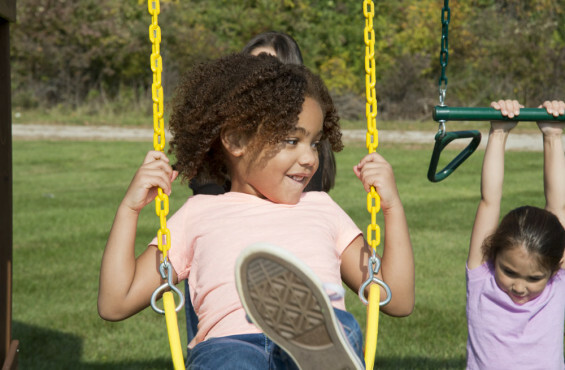 As children swing side by side, they will compete to see who can swing the highest. 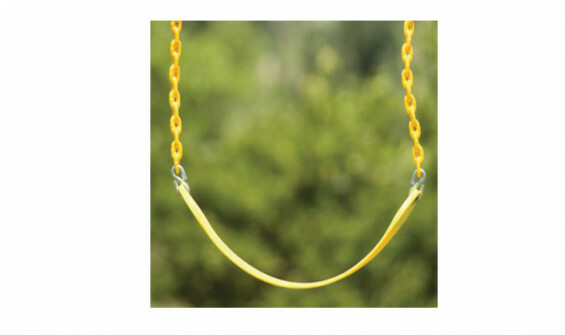 Beloved by children everywhere, no play set would be complete without a swing belt. Comfortable for Kids and Adults to Use! The chain is coated with plastisol to help with gripping, reduce pinching of small fingers, protect chains from the hot sun and reduce rust. 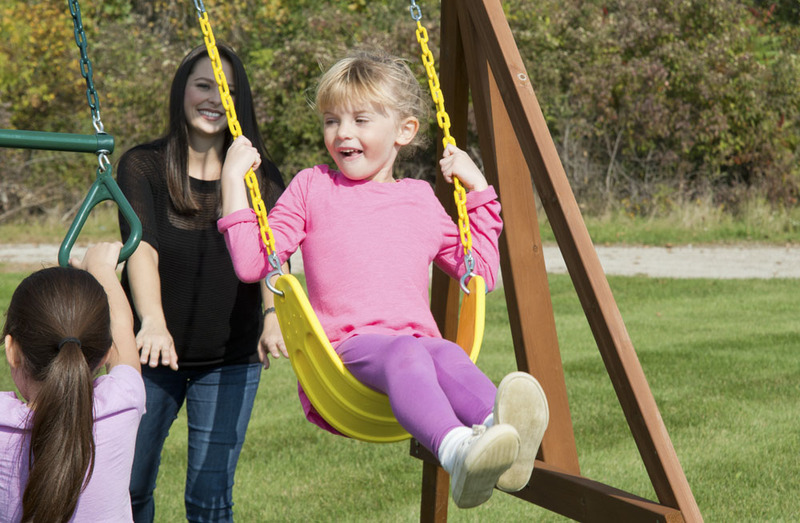 The strong seat bends and conforms to the body, keeping kids safe and comfortable while swinging. Our swing belts can be installed on most play sets in under a minute. They make the perfect swing belt replacement for old and worn out swings. To prove our commitment to quality, our swing belt seats include a 3 year warranty! Did you know swing belts help kids grow physically and mentally? Our high-quality swing belts help kids build their physical strength while learning how to communicate with their peers. In addition, swing belt seats inspire kids to use their imagination as they soar to new heights. Swing Chain: Plastisol coated swing chain.